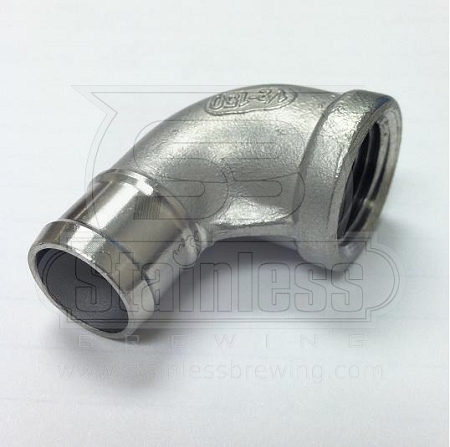 3/4" Hose barb x 1/2" FPT 90 elbow. These will fit your 1/2" ID silicone tubing and allow maximum flow. This is a great fitting for different uses. It works great as a whirlpool elbow in the boil kettle. Nice clean, high flow fitting.